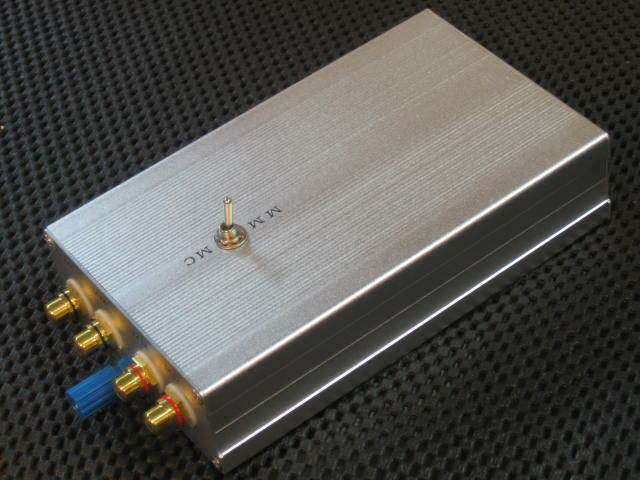 This is our newest state-of-the-art high gain low noise MC + MM phono stage. All components are meticulously selected and crafted in order to achieve the finest sound quality within the affordable price tag. This product offers superb resolution, very high gain and very low noise floor for even low output MC , at a super bang-for-buck price. 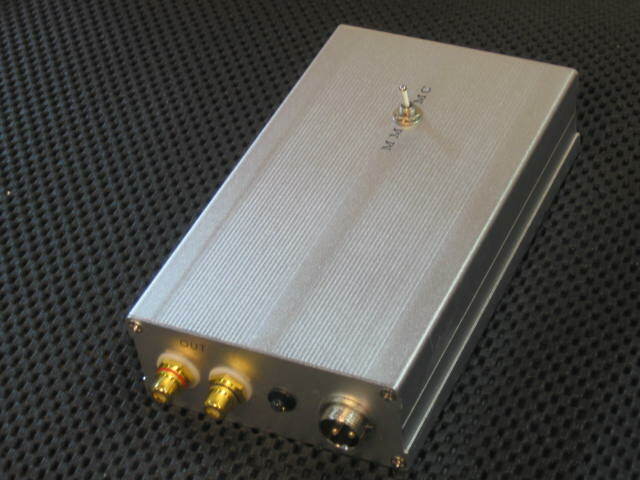 This unit can also take MM cartridge from MC input, and boost the MM cartridge output level same as CD signal level (by setting the MC loading to 47Kohm, and MC gain to 3-4x ). 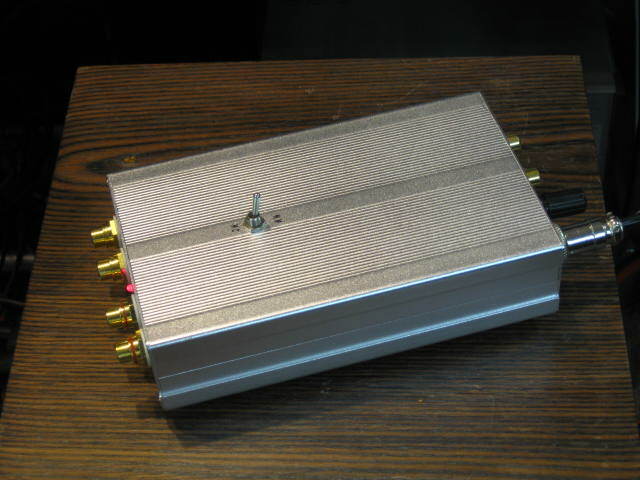 This unit built with heavy duty gold plated copper circuit board to ensure best signal transmission and minimal lost , with +/- 0.5db RIAA accuracy, -80db S/N for MM, and -70db S/N for MC input with 20x gain. This unit comes with very natural and smooth sound. 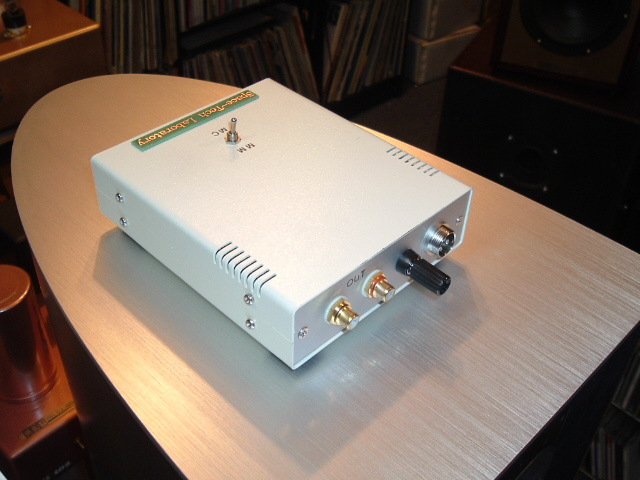 Tonal quality and specification easily pair with thoes selling $3K-5K MC/MM solid-state phono stage in the industry. Built-in re-chargeable battery for AC off-line operation, 100% hum free even work with super low output MC cartridge, smart charger include in the circuit with auto stop when battery fully charged. The built-in re-chargeable is 3000mA 18650, which can let this unit run for many hours by itself fully charged. This 18650 battery can easily be replaced with a new one if it fails after many years of usage. 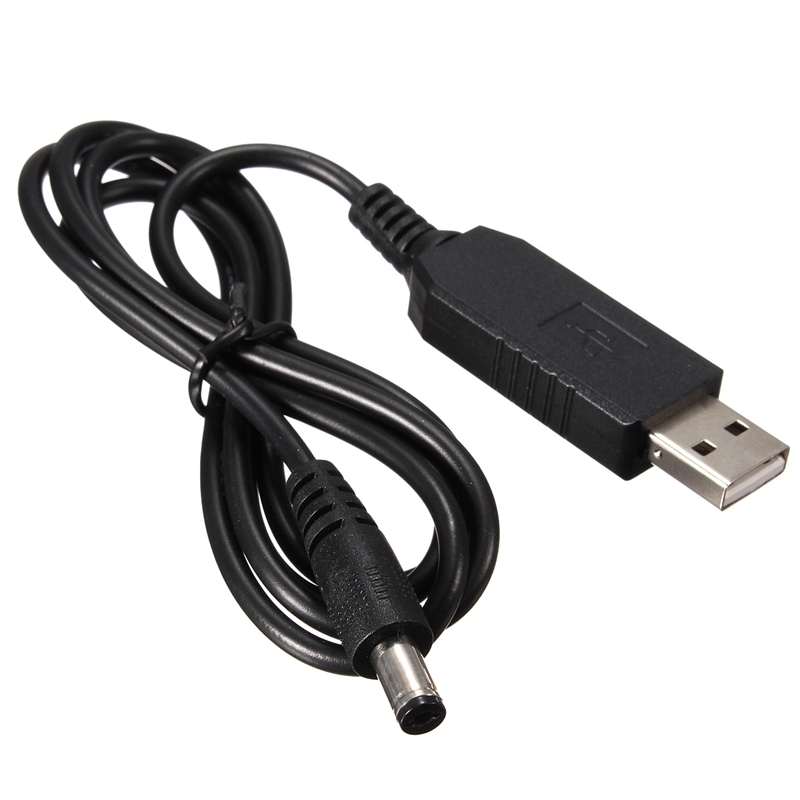 Even this unit comes with battery power, it can also run on AC power with included DC 12V 1A adapter. The power supply section is like an "always on-line UPS" system, power to signal circuit always re-generated by the battery power circuit to maintain the best stability and quality of sound. Separate "Charge" and "Power" switch, you can either listen during charging or without charger connected, or cutoff circuit power during chraging for faster charge cycle.